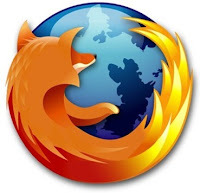 I love Firefox and use it as my main browser. But there's no denying it: when it comes to resources (CPU, memory) consumption, FF is lacking. I always attributed it to the open source nature of the project. When many people contribute, they tend to focus more on features and later bugs, less on performance. I've sampled the new release of FF 3.0 alpha and it was too buggy to recommend. But the latest release is much better. Resource allocation has been tightened and some performance boost is noticeable. Bear in mind this is a beta, so some bugs are still lurking about. Another caveat: if, like me, you use and depend on many add-ons, don't replace your current version. Some of those add-ons are not supported yet. But FF 3 can be installed side-by-side with FF 2. Read a review here, and download the beta here. Beta 3 just came out today with "approximately 1300 individual changes from the previous beta, including fixes for stability, performance, memory usage, platform enhancements and user interface improvements. Many of these improvements were based on community feedback from the previous beta." Beta 4 available (as well as a pre version of 5, for the braver people ). Get it at the same URL. If you want to use your extensions in FF3B2, simple install Nightly Tester Tools from oxymoronical.com. It has the ability to force-enable your extensions in any version of Firefox. Of course, some don't work 100% and it's all at your own risk, but most of my extensions work just fine! Thanks for the link - cool tool!